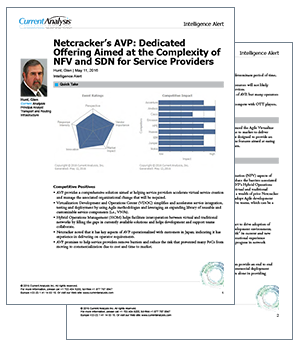 Learn how Current Analysis sees NEC/Netcracker’s Agile Virtualization Platform and Practice (AVP) and its ability to help service providers accelerate the process for creating and monetizing virtual services. Sign up and get the complimentary analyst report. © 2018 NetCracker Technology Corp.